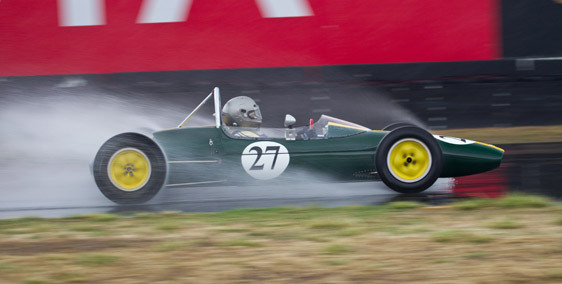 Adventures of 2013: Early July was Mont-Tremblant – a great destination and fabulous weekend despite 96 degree temperatures and a broken halfshaft in practice in the Lotus 77 on the first day. 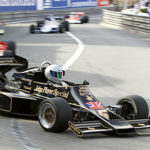 Duncan Dayton came through with a spare halfshaft from his Lotus 79 and we got it installed just in time to join the race from the pitlane on the green flag and was able to finish mid-pack. Then it was off for a few days visiting friends and relatives in New England – a life-long family friend in Vermont, my uncles and aunts on Cape Cod, and a trip to my home town in Massachusetts to see a friend from college and a high school teacher I had not seen for 45 years. It was a great way to spend the week! 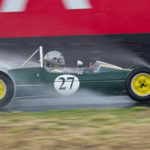 From there it was on to Elkhart Lake — my favorite circuit in North America – and a very enjoyable (and somewhat cooler) weekend with fourth place finishes in my Lotus 77 in the HGP races on both days. Then back to San Francisco to catch up at work and repack my bags for Silverstone. 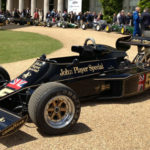 There was a Jim Clark tribute dinner that was great, and the HGPCA race in the Lotus 32B went well. I started 12th on a 44 car grid, picked up two positions on the standing start and one more on the second lap, but then lost a position toward the end of the race. I finished 10th, and was only 2 seconds off the pace of the fastest cars, so I was quite pleased. 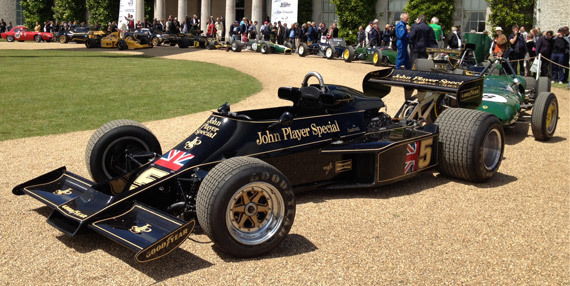 Of course, it was fantastic to be driving an ex-Jim Clark car at a Jim Clark tribute event. 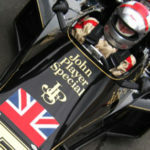 Not so good in the Lotus 79. I started quite far back, about the 25th on the 31 car grid due to a gearbox problem that prevented me from finishing the race the previous day. It was a rolling start and a car ahead of me came together with a disabled car sending them both spinning. 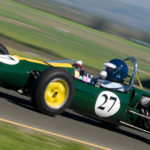 I took evasive action, two wheels on the grass, and avoided most of their entanglement but a rear tire of one spinning car clipped my right rear wheel as I went by, deflating the tire and putting me into a spin. I got hard on the brakes and brought the car to a stop just shy of the pit wall. 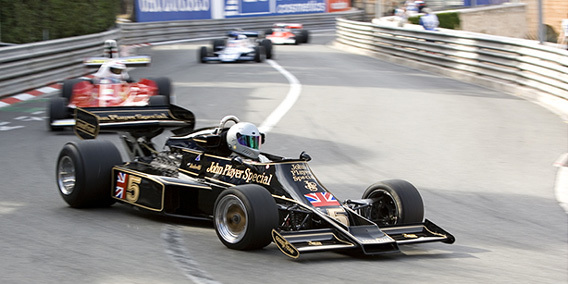 I was fine and the rest of the car seemed fine, so Classic Team Lotus pushed me into the hot pit lane, replaced the wheel, checked over the suspension, and I rejoined the race 3 laps down. All in all, a very nice way to spend the month of July – despite the heat – with family, friends, camaraderie and competition. 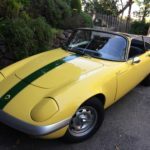 The adventures continued in August, with friends and a third place finish in the Lotus 27 at the Monterey Motorsport Reunion at Laguna Seca, and in September with a third place finish in the Lotus 32B at Spa-Francorchamps. I was also very pleased and honored to receive word in November of my induction into the Road Racing Drivers’ Club (RRDC), and with the outstanding reviews of Ron Howard’s Rush.